Since 1997 we have been direct importers of country antiques from France. We search for pieces dating back to the 1800’s and some from the early 1900’s. We always have a nice selection of historic pots de confit and enamelware in addition to oak, pine, and walnut furniture that would fit nicely into the homes of ranchers and residents of our Texas Hill Country area. 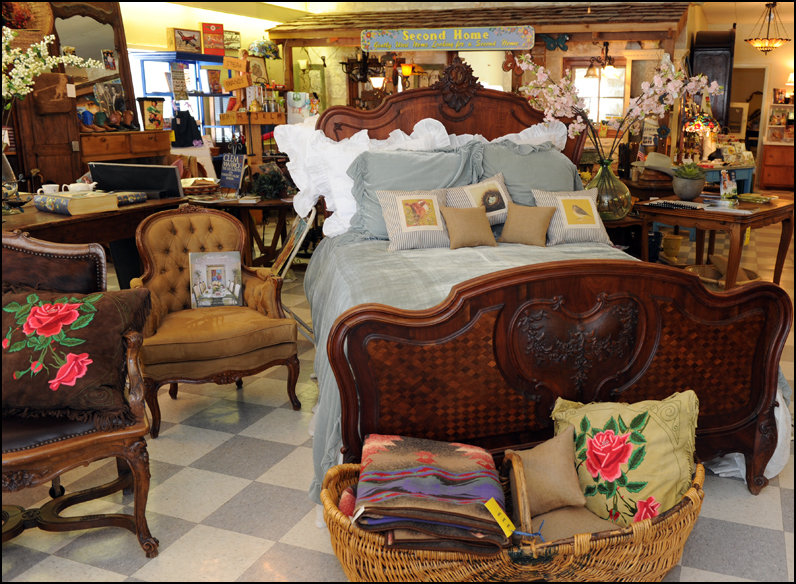 Each antique has been personally hand-selected by co-owner Laurel Waters who lived in France for four years while attending the Paris Fashion Institute and Le Cordon Blue Culinary School as well as working in three of the top-rated restaurants in Provence. We look back at the seventeen containers of antiques that we have presented in our small store and delight in the thought of the thousands of special pieces we have sold to happy buyers from all over Texas. We are sorry, but we do not sell our antiques over the internet or telephone. Each piece has its own history of usage over time resulting in “beauty marks” telling its age, and we want the customer to “see it and feel it” in person before making a selection.